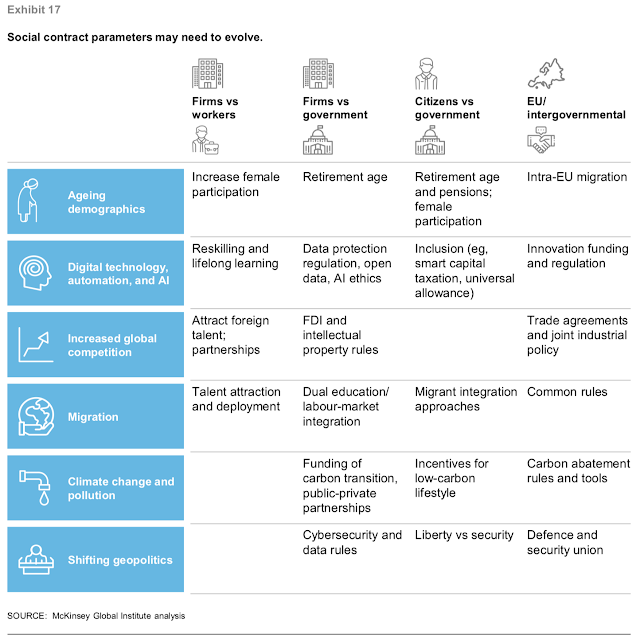 The New McKinsey Global Institute (MGI) research, focuses on prospects for inclusive growth in the period to 2030—possibly the largest driver of citizens’ life satisfaction. 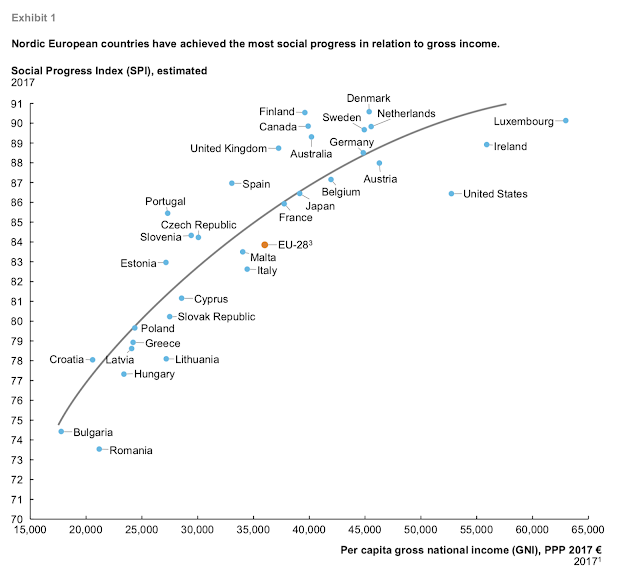 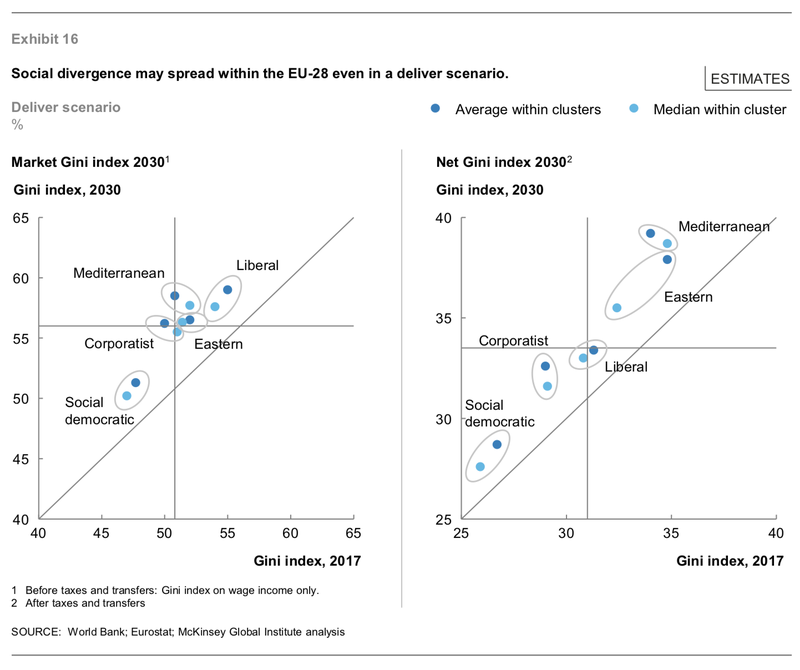 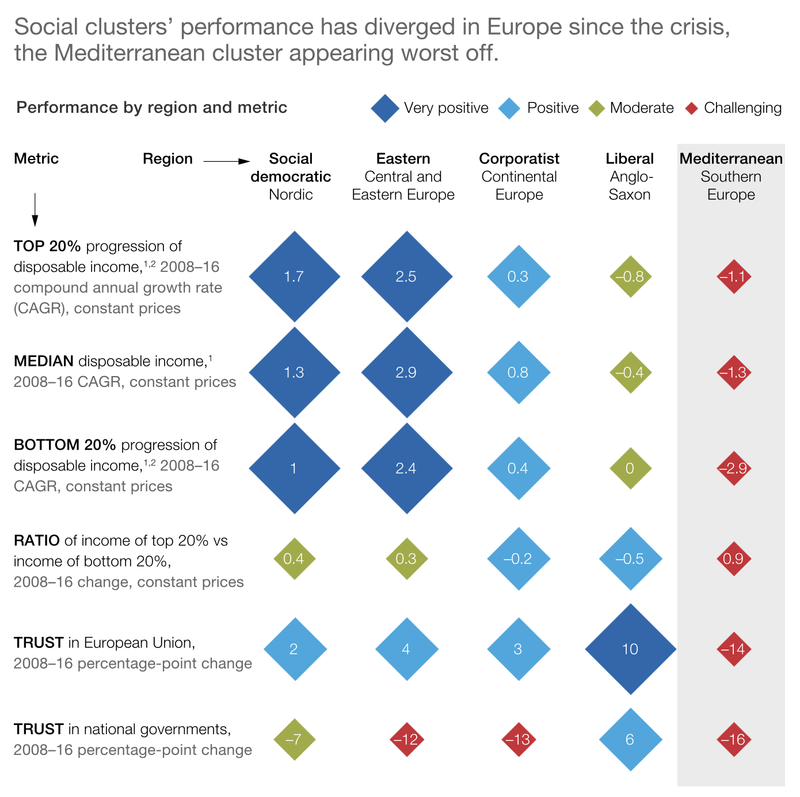 Europe’s inclusive growth model and the European Union’s (EU) welfare-based social contract appear to be under threat amid limited growth in median income in recent years, falling trust in institutions (both EU and national), discomfort about mass migration, worries about security as well as the resilience of global agreements, and a rise in populist politics that challenges the status quo. Europe now needs to respond to six global—and interacting—megatrends that could push inequality higher within EU member states and among them and increase social and economic divergence, placing the inclusive growth part of the EU social contract in even more peril. Given these trends, Europe needs to be proactive about testing new ways in which the social contract might work in the case of the future of work, low-carbon lifestyles, and technology ethics, for instance. 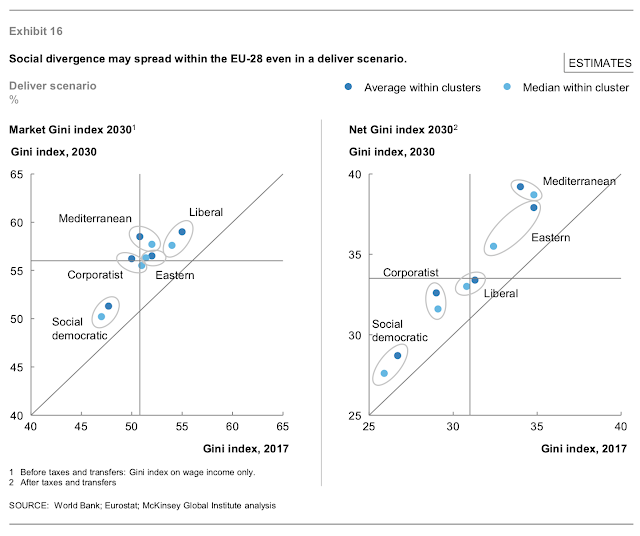 Overall, however, we find that Europe may be able to preserve the essence of its welfare-style social contract, if it delivers superbly on all its current initiatives that are linked to, and aim to respond to, the megatrends. 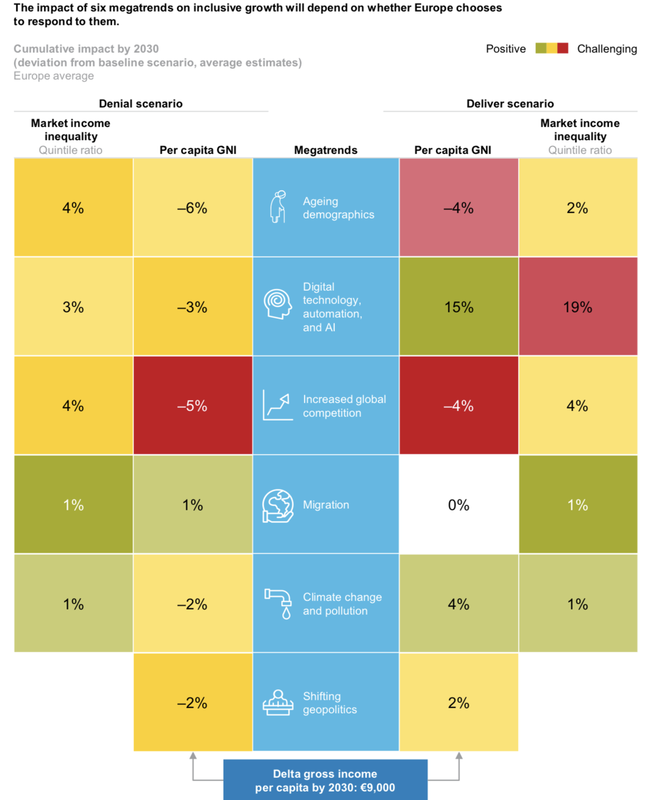 Among initiatives with the best outcomes for inclusive growth, the EU and European countries might have to scale up green and technological innovation and develop new skills. 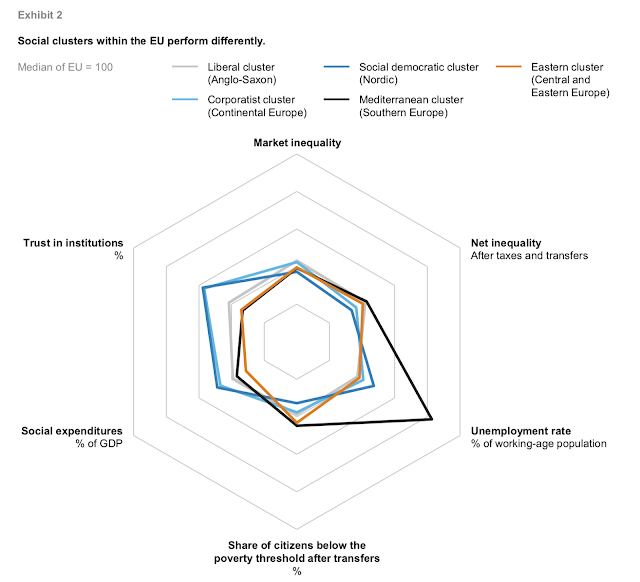 While inequality will likely grow as new social policies unfold, these new approaches might be financed by the returns on those policies, and, in the process, mitigate rising inequality, and helping to head off anti-EU sentiment. 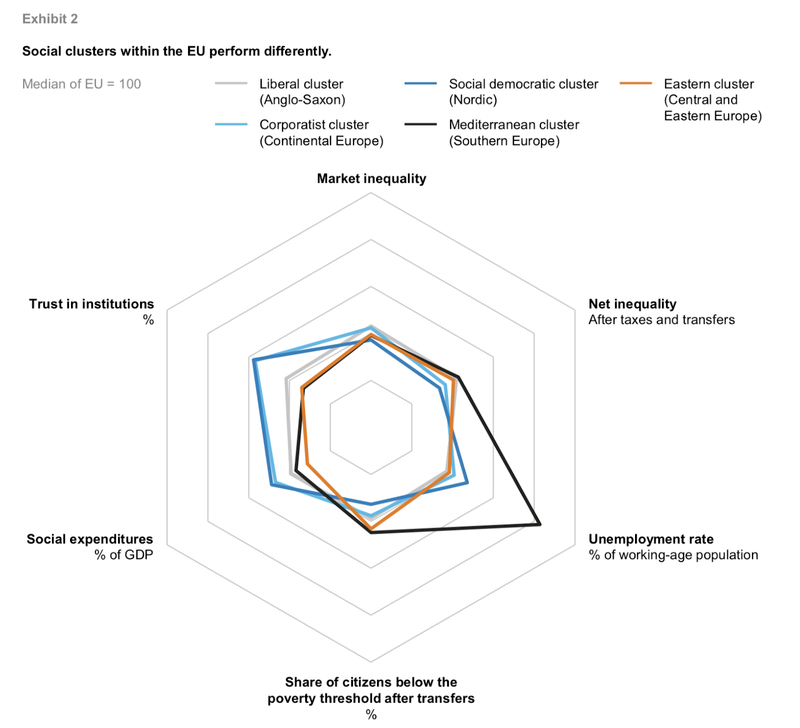 Social divergence within member countries is likely to persist and must be tackled with the EU complementing the actions of member states. 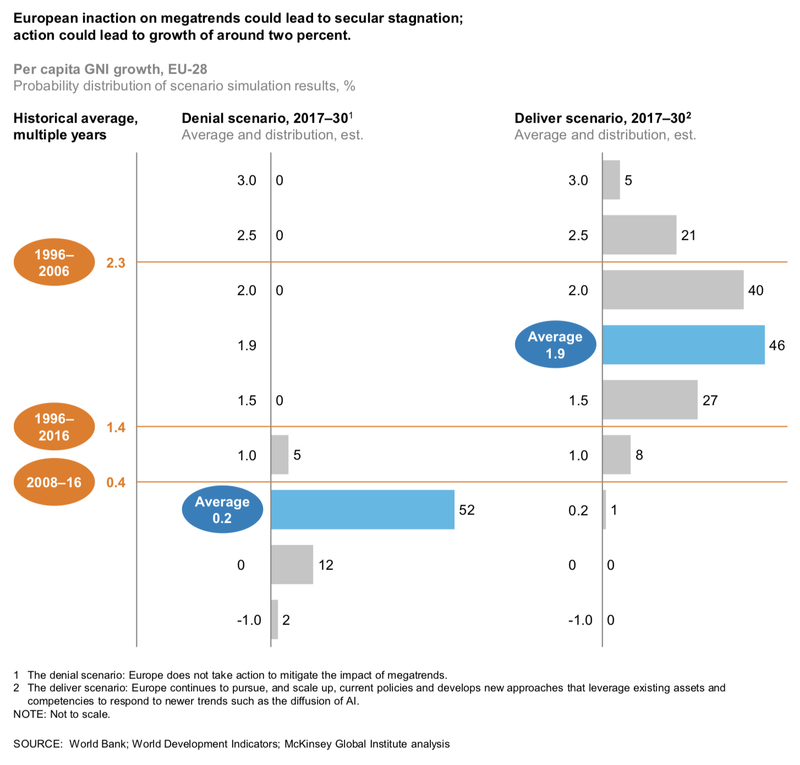 It simulates the challenges and opportunities ahead in several scenarios and focuses on the impact of the six megatrends.